Beginning October 16th, Target Starbucks locations now have the ability to redeem your “Lucky Dozen” or free “Birthday” rewards that you receive when you’re a part of MyStarbucksRewards. October 17 – 19th, you will earn bonus stars for your purchases at Target store Starbucks! Each time you use your registered Starbucks card at Target Starbucks, October 17 – 19, you’re earning two stars! One important thing to note, I was able to confirm with an official Starbucks spokesperson that “MSR offers (1:1) emails are not redeemable at Target Café stores.” Let me explain what that means: Starbucks uses “one to one” marketing. This means that you might receive promotional emails that are different than what your friends receive. 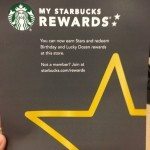 Starbucks may email MyStarbucksRewards promotions such as “bonus stars for ordering Oprah Chai” or “Get one breakfast sandwhich and get a second half off”. Those are examples of the one to one MSR offers. Target Starbucks are not honoring these MyStarbucksRewards special promotions. 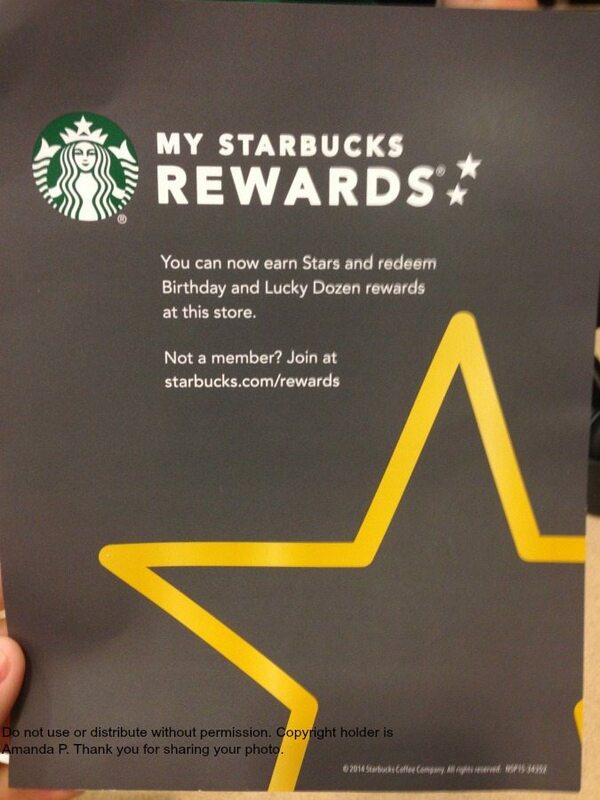 It’s still very big news that you can redeem rewards at Target Starbucks now! Last but not least, always check back with Starbucks.com for the latest reward information. The MyStarbucksRewards program is subject to change as Starbucks is always re-assessing what program offerings will work best. Great to hear this change as there are targets in my area. This great news!! Most of the Starbucks locations I visit are in Target stores. I love the partnership, but it would be nice to have a convenient drive-thru closer. re: the two bonus stars at Target. Was this an emailed offer for certain MSR members or is this for all MSR members? I finally got the email for the bonus stars at target but I find it sort of interesting they did not add on oct. 20 because around here targets are closed on Sundays. I realize it is hard for SB to know all retail laws in every area. @Claire – Oh you’re right. I hadn’t thought of that. Black Friday will be amazing. does anyone know if the bonus stars count towards the minimums for the most recent star dash (my offer was 5 or 7)? thanks! @Impasse – My guess would be “yes” that the bonus stars do.